AT 9.09 a.m,yesterday, the Independent National Electoral Commission, INEC declared the All Progressives Grand Alliance, APGA, candidate and the incumbent governor of Anambra State, Mr. Peter Obi, as winner of Saturday’s governorship election, having scored majority lawful votes of 97,833. Obi who, by this victory, has earned another four-year mandate, fulfilled the constitutional requirement by winning two-third votes in 14 out of the 21 local government areas of the state, had the candidate of Action Congress, AC, Dr. Chris Ngige who scored 60,240 votes as his closest candidate in the keenly contested ballot. Ngige scored 25 percent in three local governments. The highly rated People’s Democratic Party, PDP, candidate, Professor Chukwuma Soludo, came third winning in two local government areas with 59,355 votes. Surprisingly, the former Central Bank Governor lost in his Aguata Local Government to APGA. 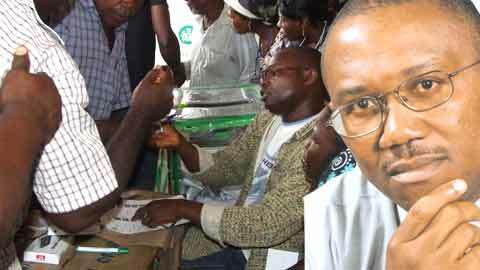 Former presidential aide, Dr. Andy Uba of the Labour Party, LP, came fourth with 26,106 while former House of Representatives member and Hope Democratic Party, HDP candidate, Prince Nicholas Ukachukwu polled 20,727. Both Uba and Ukachukwu won in only one local government area each. The only prominent female candidate and House of Representatives member, Hon. Mrs. Uche Ekwunife on PPA platform, got 9,595 votes. Umeh told newsmen: “We feel so happy that after the strenuous struggle to pull the seat of Anambra State down we have been able to do it in a very spectacular way to the glory of God. Like we stated before, the only thing Nigeria needs to progress as a democratic country is a credible, free and fair election. And our party, APGA, has been in the vanguard of this struggle. We are very happy that this morning our involvement in this struggle has yielded the necessary dividends. “Nigeria is going to move on from this election to greater glory. There is no way we can succeed as a country if we continue to deny the people their inalienable right to elect leaders of their choice and this is the beauty of democracy. “INEC has done well, not just because we have won but because yesterday (Saturday) we were allowed to vote. Anambra State that has had traumatic experience in the past election, yesterday, did not record any incident of people writing results from their private homes and these results finding their ways to INEC headquarters for declaration. So, if INEC keeps it this way we would get out of the woods. Addressing a news conference shortly after the results were declared, the Anambra State Election Monitoring and Observation Board praised INEC for the successful conduct of the election. Chairman of the board, Barrister Ikeazor Akaraiwe, who spoke on behalf of the observers, also commended the security agencies for providing adequate security for the election just as he expressed concern over the late commencement of the election in most centres. He said: “In spite of the laudable action of INEC in commencing early distribution of sensitive election materials, voting did not start early in many units. During the board’s pre-election assessment, it expressed the concern on the integrity of the voters’ register. Among our key concerns were the omission of names in the voters’ register and the inclusion of foreign names. The Board, however, recommended that INEC should make provision for its transportation during election as against the present practice where party chieftains provided transportation to convey sensitive electoral materials to voting centres. Noting that corps members used for the conduct of the election were not indigenes and could not speak the native language of the people and that they were left to operate without adequate instruction on what to do with people with valid voter’s card but whose names could not be found in voters’ register, the Board said there was need for a review of their operation in that regard. Vice President Goodluck Jonathan, yesterday, congratulated victorious Governor Peter Obi of Anambra State over his re-election, saying that the success of the election and his victory were clear indications that Nigeria’s democracy will succeed. In a statement by the Senior Special Assistant, Media and Publicity to the Vice President, Mr. Ima Niboro, Jonathan applauded citizens of Anambra State for heeding his earlier advice to ensure that their votes counted in the election. He also commended efforts of the Independent National Electoral Commission, INEC, the Nigeria Police and other security agencies towards the successful conduct of the polls. The statement said: “The Vice President, Dr. Goodluck Ebele Jonathan, has sent warm congratulations to Governor Peter Obi, over his victory in the Anambra gubernatorial election. The VP also lauded the Anambra people for the generally peaceful conduct of the election, noting that this is an indication that Nigerians are determined to make democracy succeed. “Dr. Jonathan acknowledged the roles played by the Independent Electoral Commission, INEC, as well as the Nigeria Police and other security agencies towards the successful conduct of the polls. 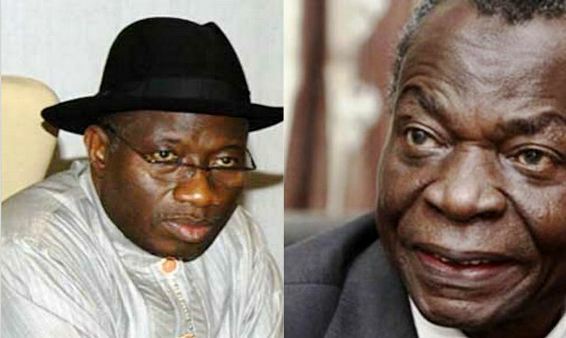 According to him, this was an indication that the electoral reforms of the present administration were beginning to have an effect on the nation’s political culture”.